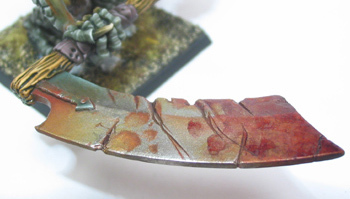 What is the best way to get a weapon to look bloody with realistic blood splatter on the mini? 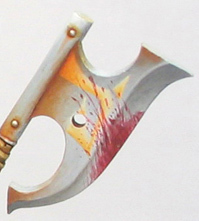 Stab someone with the mini. For an extra bloody look go for the jugular. Caution: Only attempt this method if you can claim diplomatic immunity.